Hello everyone, I hope you are well today? With season 2 of Stranger Things around the corner I recently rewatched the first season, and it got me thinking about stuff as is often the case. Before I get to that, let me give a brief overview of Stranger Things, just in case you are not familiar with it. Stranger Things is a sci fi horror set in the early 80s following the disappearance of Will Byers. The series follows his frantic mother, played by Winona Ryder, the world weary former big city cop and current chief of police, played by David Harbour, Will’s three best friends and other folks close to them in the aftermath. There is a backdrop of bizarre experiments going on at a Department of Energy Laboratory, some form of monster on the prowl and a strange little girl with strange powers played by Millie Bobbie Brown. Related to these experiments, the monster and even the girl is the bizarre parallel world, overgrown by strange alien plants and flora, simply referred to as “The Upside Down”. I am not going to do a full review, as that is not my purpose here (plus it has been out for over a year). And I should probably alert you, there may be spoilers ahead. No, rather than review Stranger Things I wanted to look at one of the elements of the series that might escape your notice if you are simply enjoying the story, or are being enthralled by the amazingly spooky sets that correspond with “The Upside Down”. I am not even going to talk about the fact that the opening titles are some of the most amazing opening credits I have ever seen in terms of music and production quality. No, I am going to talk about the fact that the four boys, the main characters, are gamers, and how this impacted the way they did things. If you haven’t seen Stranger Things and skipped over the clip, treat yourself and click on it. It is really good. The series starts, and ends, with a game of Dungeons and Dragons and, in fact, the final game of the series is a sort of meta look at the series, admitting that there are still some loose ends and serving as a metaphor for the entire series (Go back, listen to what they say after the game is finished). The main characters, Mike, Dustin, Lucas and Will are early 80s gamer nerds. I personally thought that was amazing, as the TV series is really cool, and that helps make the joy of Dungeons and Dragons more acceptable to other people. However, that isn’t even the reason for my post. As with every nerd of age 10 to 15 I have ever encountered (Including myself when I was a youth many moons ago), the main characters contextualize everything by referring to things they understand. So, when someone is a traitor, they are a Lando thanks to Empire Strikes Back. And when they need to understand parallel worlds, and the so called “Upside Down” they search out a rules set for Dungeons and Dragons that deals with an evil dimension, similar to our own but populated by monsters. It is with this knowledge they are able to seek out the School Science teacher and figure out a course of action. Which probably brings me to my thesis statement for this post, which makes it a bit more academic than normal. Games, like other things, can serve as a means of understanding things we don’t fully understand. For instance, arithmetic. How many people in the world got their first foray into capitalism playing Monopoly? Who among us got a basic understanding of history playing things like Crossbows and Catapults? I learned the Geography of English Counties (more or less) playing an Old NES Game called Defender of the Crown, a medieval strategy game. And on a related note, I learned what DNA was by watching a GI Joe Movie. That made learning about it in class easier as I already had context and confidence. Let’s go a little bit deeper. People learn via exposure to things. If you read lots, chances are your ability to spell words will be better than if you hadn’t. However, you also increase your vocabulary as you encounter new words and determine their meaning from the context they are used in. Imagine what else you can learn easily because it was fun? 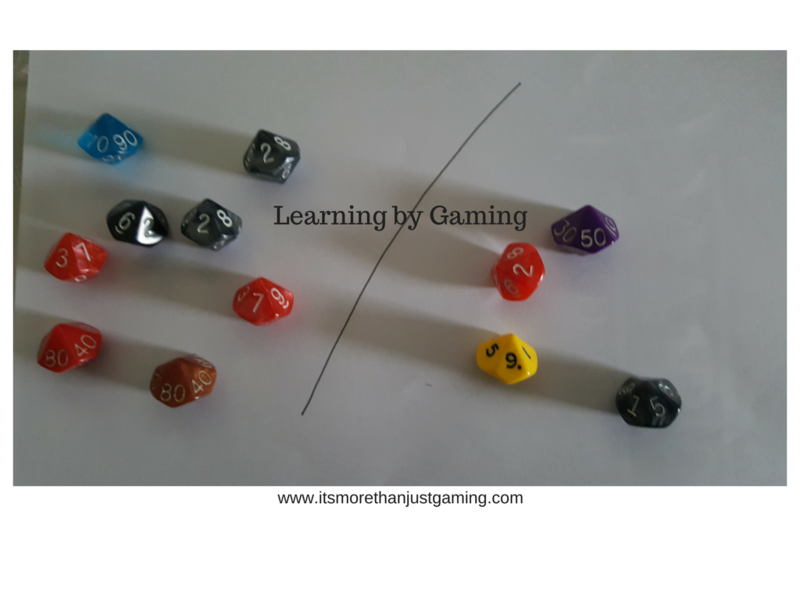 Games, as with other media, are a method whereby learning is possible. Games are a way of exploring complex ideas and pushing the boundaries. They are also, sometimes, really good metaphors. Skyrim is a fantastic example of that. Games, and other creative hobbies, help us expand our frame of reference. They help us to contextualise ideas, and perhaps they even help by giving us an image that we can wrap our head around allowing us to comprehend vastly more complex ideas. To bring it back to Stranger Things, because the main characters had played Dungeons & Dragons, they were equipped with the appropriate tools to understand something away from the table. And the point I am making is that many, if not all, games offer this opportunity. Have you found other ways in which games and other creative hobbies are beneficial to education? Let me know in the comments, I would love to hear from you. You’ve been counting the days? I logged into Netflix on Friday and they had a countdown for Stranger Things telling me exactly how long until season 2 starts. Which is cool. I am thinking I will cram all my work into Monday to Thursday and just binge season 2…and if I can’t cram it all, then Saturday works too! I completely agree, and if I ever became a teacher Games would make it into the classroom as often as I could manage it! Great post! This is something that really interests me. I’ve actually used playing RPGs as examples of team work, creativity and leadership skills in job interviews, and (surprisingly) it’s always gone down pretty well :p I think role-playing has also done wonders for my confidence, ability to speak to strangers and empathy, which is all pretty essential to role-play well. Yeah rpg definitely helps confidence (caveat being you have a decent group) and yes. Civ helped me learn a lot about the world and I particularly liked civ4 for the Leonard Nimoy voice overs, the diplomacy and corporation systems. (I liked civ 5 for modabilty and the religion system). Given your recent rpg posts I wonder if there is an opportunity to do some form of collaboration. What do you think? Either way, thanks for reading! Playing rpg’s since I was 8 has been a massive part of my life ĺong learning, mostly soft skills like reading people, negotiating, planning, structuring an argument etc but also practical maths, rudimentary social sciences and so on. I think it also opened a door to an interest in philosophy and differing world views, although it’s hard to tell which came first. As an aside I introduced my 7 year old daughter to Civ specifically because I knew she’d love the gamification of history and the development of technological, cultural and social structures. I remember you telling me about your first foray into gaming, Danny, and your enjoyment of the coop element of it. Civ is fantastic on so many levels. On a different note, in terms of skills gained, I remember when i started Larping Vampire the Masquerade as the resident Nosferatu living in the shadows way, my very first Larp character. From playing him I actually learned to be quite light on my feet, and nimble. Back in my youth I recall being able to evade detection quite easily when I wanted. Then I got old and suffered injuries. Still, was unexpected learning. Plus the whole confidence thing.